Although Duo is available to the general public, not everyone is using it yet. What if you want to video chat with Mom, or Uncle Stu, or cousin Russ, but they aren't using Duo? 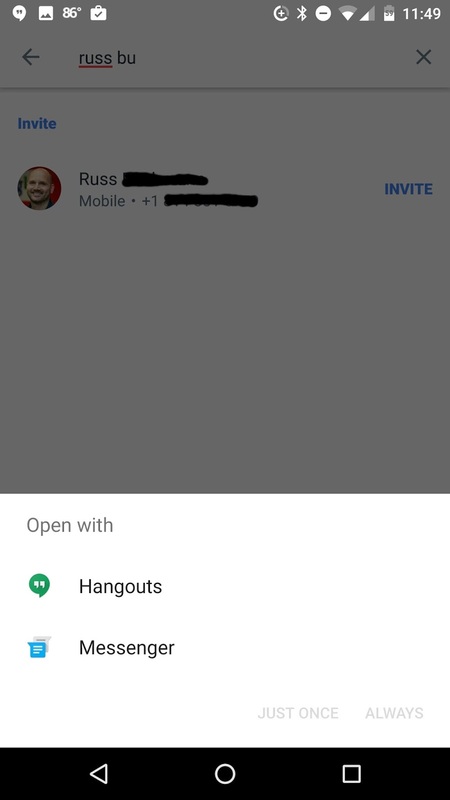 Thankfully, Google included a mechanism for inviting people to use Duo so you can video chat with anyone that has a mobile number. 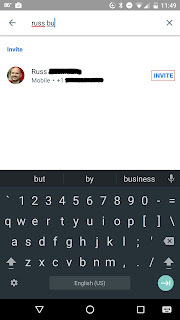 Invitations are sent via SMS to the mobile number you are trying to invite. To invite someone from you contacts, just click the new video call button. If the contact is already using Duo, they will be listed at the top of all your contacts. Otherwise they will be listed below with the word Invite next to them. 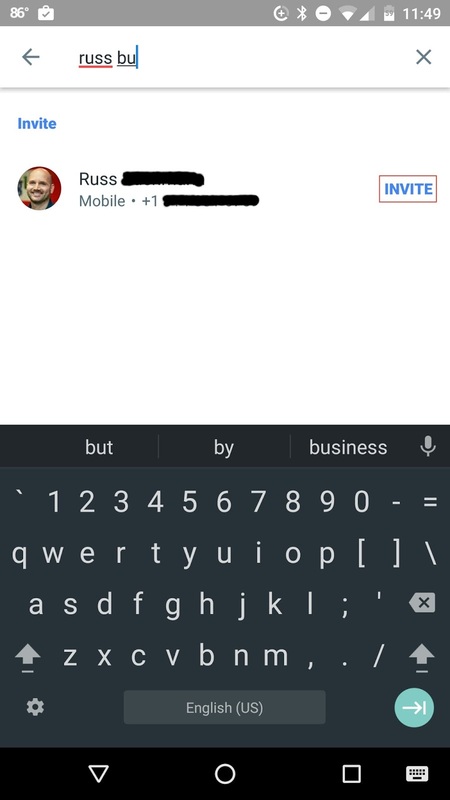 When you click the Invite option, an SMS will be generated and sent to the recipient. If you have more than one SMS app on your device, Duo will ask you which you want to use. 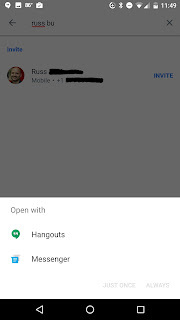 I use Hangouts. It should be noted that for me, when using Hangouts, the SMS did not become part of an existing discussion with that person. I also noticed that the SMS in hangouts for this particular item does not sync back to Hangouts on the desktop. The invite will provide a link that will bring them to the Duo website (duo.google.com). Here you will have links to the appropriate store for you to access and download Duo to your device. 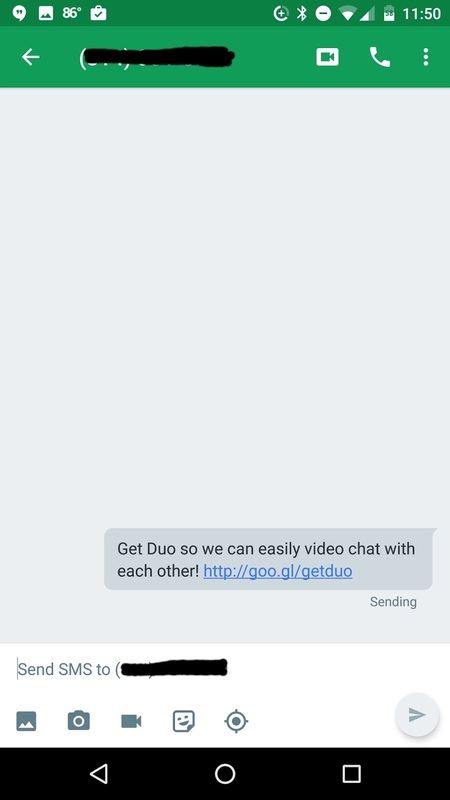 Once you download you can setup Duo by following the instructions here. Simple as that. Let us know your video chat thoughts in the comments. Now go get Duoing . Just downloaded Duo 10 minutes ago, have been Duoing ever since. Such an easy set up, and even easier to use. Love It ! I've noticed that if you have multiple numbers for a contact, even if you select "mobile" it sometimes sends to the other contact number. Tried inviting to both my parents mobiles multiple times, but it seemed to be sending to their home number on their contact profile for some reason. I haven't made any correlations as to "why" yet. The team is aware of this and are working on a fix. What if the contact is in a foreign country? Does the invite still need to be by SMS? I'm trying to get this Google duo set up.... I was able to download it to my tablet, but... I don't know how to invite people... I have tried using their name and number, but it still isn't giving me an option to invite... Making me crazy!! 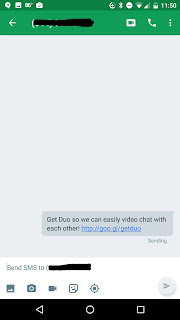 If your tablet doesnt get SMS messages, you wont be able to use Duo on it as in needs to send a confirmation code via SMS to set it up. How do I invite contacts on a tablet?? I have tried using the name and number to no avail...HELP!! !